Going into the theatre I wasn’t entirely sure what to expect of the film, or the theater for that matter. If you’ve never had the opportunity to attend a showing at a proper Alamo Drafthouse Cinema, you’re missing out! They serve beer and food directly to your seats. The Alamo Drafthouse theatres are also well known for taking movie theatre etiquette quite seriously. No one is admitted once the film begins. Some friends of mine learned that the hard way the other day, as we attended the showing for a the Wind Rises. Before the film began, and before any trailers were broadcast, they had found some clips of old flight videos and tests. This lent itself heavily to the films direction, I would soon realize. They also showed a video of Hayao Miyazaki, the films director, writer, and animator, making ramen soup. It was so very random, it was hard not to love. I ordered a few drinks on tap at that point, a Peekskill Sour and a Wells Banana Bread Beer which they kindly spaced out between ten minutes. And then they showed the press conference in which Miyazaki announced his retirement after The Wind Rises. 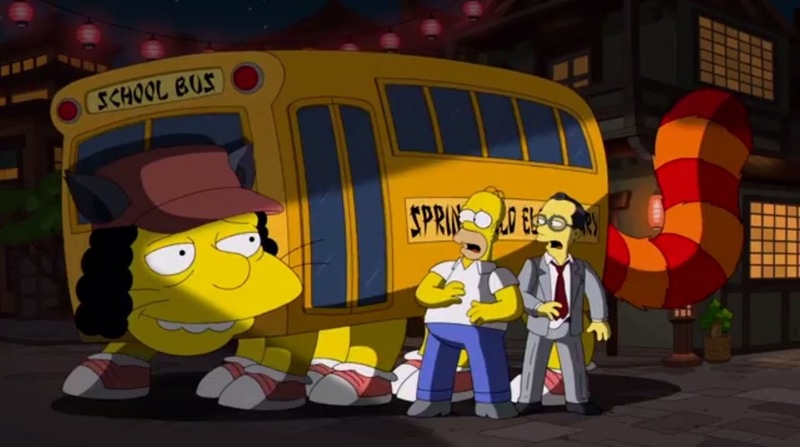 And then they showed the beautiful video in which the Simpsons payed tribute to Hayao Miyazaki upon his retirement. It really was an excellent before-movie experience that I found really touching. 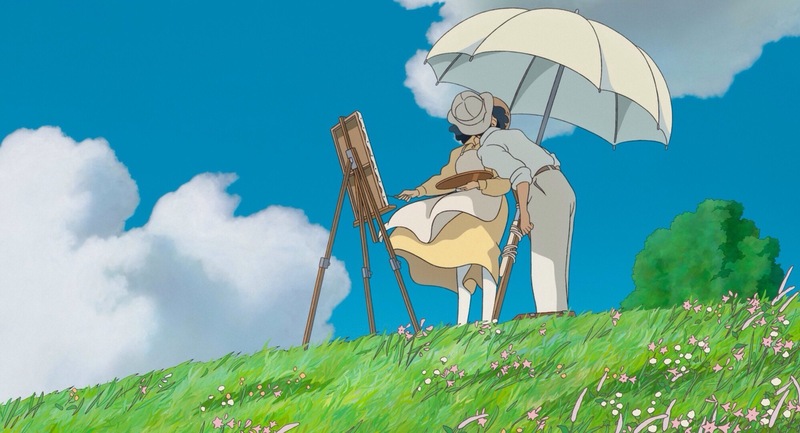 When the film began I was stunned at the beautiful world that Miyazaki had recreated. Japan circa 1920-40s. 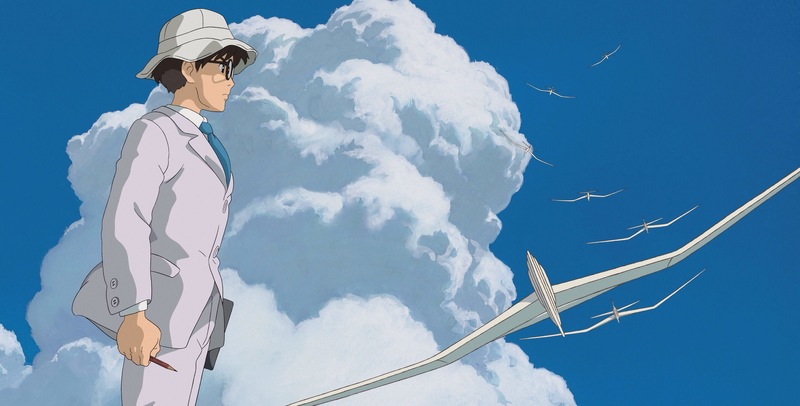 It followed the life of boy prodigy and under-credited genius Jiro Horikoshi and his dream to become an aeronautics engineer so as to build his dream plane. Throughout the film, his eccentricity is only faintly hinted at by his brief encounters while dreaming “with” Italian engineer Caproni that he wishes to follow in the footsteps of. Because of the way the story progressed, and how it’s so dissimilar to any of Miyazaki’s other works and themes, it was a little hard for me to get into. 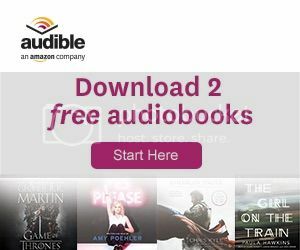 I never once thought to myself I wasn’t enjoying it, don’t get me wrong there, but the story did take a while before you understood that this was the pace you needed to get used to. I loved seeing all the trial and error designs that engineers proposed and whatnot, and then seeing the evolution of that to what we have today, and how revolutionary Jiro actually was. 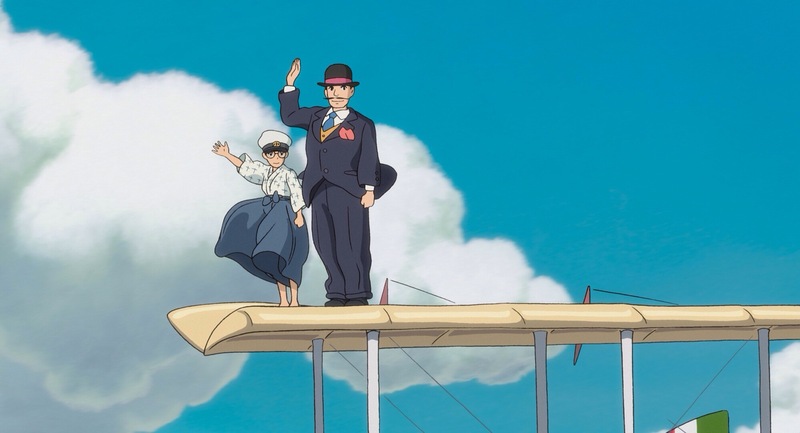 Throughout the film we see the development of two of Jiro’s planes, the Mitsubishi A5M and the A6M Zero. Both will eventually get used in WWII. Near the beginning of the film we are introduced to Jiro’s eventual love interest, but this theme wasn’t capitalized upon until much later in the story (and yes, this is a very long film – 126 minutes). The dynamics of his relationship were both endearing and traumatic, and a great lesson we can each learn from. We must understand what in our lives is truly important to us. Jiro’s eccentric and unwavering dream were no doubt the most important thing to him, and it blinded him to the grim realities around him. There were a few underlying themes I felt were incredibly poignant throughout the film, but none more so than using retirement as a theme. They brought it up a few times, and it struck me that this must be something Miyazaki was personally struggling with in his life. It must have been something weighing heavily on his mind. It was with this mentality that I came into the film, and the finality of his era of filmmaking really struck me near the end. 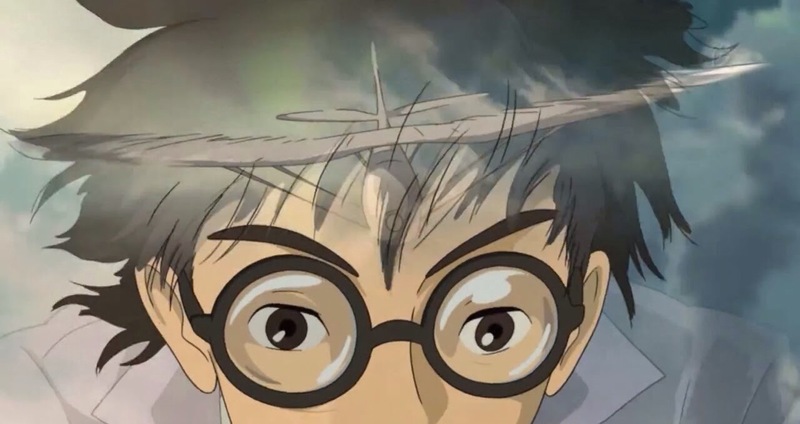 For anyone who’s ever been whisked away on a bus in the shape of a cat, met a fish that could walk, been in a castle that could move, or even fly, delivered mail via broomstick, or got stuck cleaning bathtubs for unsavory spirits, you’ll understand the significance of Hayao Miyazaki’s work and the timeless nature of Studio Ghibli films. And for those who haven’t yet experienced any of his films, I’d recommend… well, there isn’t one I wouldn’t recommend. Let’s put it that way. 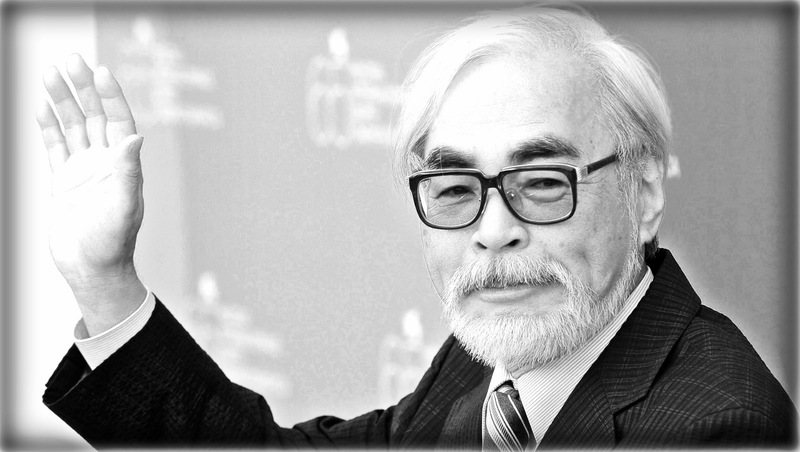 [EDIT] Just found out that Hayao Miyazaki has revoked his retirement – something he’s notorious for. This will be his 6th time. Ah, my spouse has had the chance to go to the Alamo Drafthouse and loved it, but as we live in Michigan it’s not likely I’ll have the chance to be there soon. They’ve apparently opened a branch in Kalamazoo (I don’t get it either; I’d have thought Ann Arbor or Ypsilanti the natural home for such an extension) and we might make that sometime.